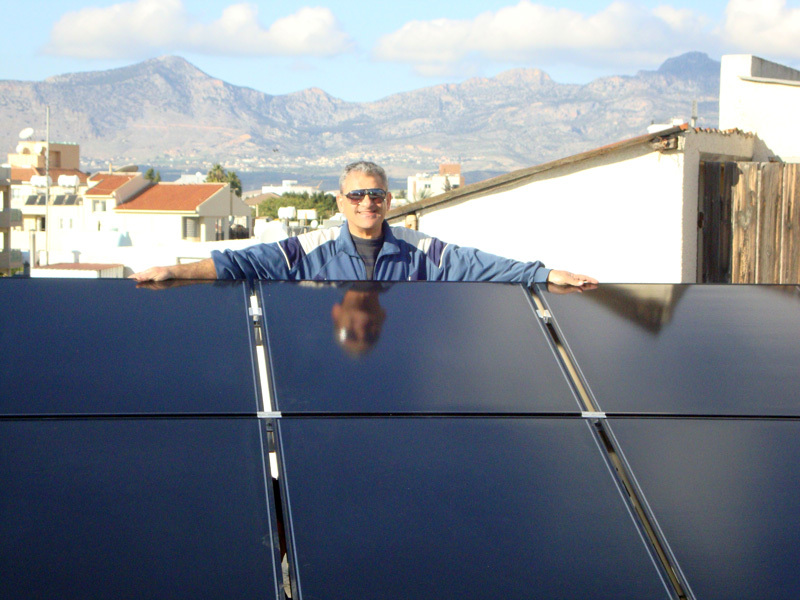 Mr Michael wanted urgently to cut his high annual electricity costs for his 4-family house in Nicosia. Taking advantage of the area’s high sunshine hours and the government’s Net metering scheme for solar photovoltaic system installations up to 3kWp, he decided to visit Energy+ and ask our professional assistance for the study, design and project management of his Net Metering PV installation project. Following a free site investigation, our Energy+ solar experts produced a Renewable Energy System business plan suggesting the most appropriate solar photovoltaic system that suits Mr Michael’s annual electricity needs. Our list of studies, needed by local authorities in order to grant permission for energy project execution, followed. Finally, the PV system was installed on the house flat roof very smoothly, delivering the best return of investment for our customer. The 18 thin film solar panels are estimated to generate 5062 kWh of electricity per year, which is enough power to cover more than 90% of his house’s annual electricity needs, saving over 1,240€ and 4.5 tonnes of CO2 emissions per year. Energy+ has demonstrated its professionalism in the field of photovoltaic systems showing that these developments can be aesthetically sited and can substantially minimize our high electricity costs while reducing our carbon emissions to the atmosphere.